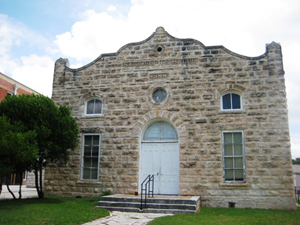 St. Joseph’s Halle (next to St. Mary’s Church) will host its annual Craft Show showcasing crafts from artisans from across the Texas Hill Country on Saturday, December 11 from 9:00 a.m. until 5:00 p.m. at 212 W. San Antonio St., in Fredericksburg. For information, call Kathy Adams at 512-355-9041. I am trying to locate a vendor that diplayed at last year’s show (I was unable to make it this year). Last year I purchased hand made soaps wrapped in wool and these were loved by all who received them. I would like to purchase more, but don’t know how to reach her. If this vendor sounds familiar, and you are able to give me her contact information, I would greatly appreciate it. I’ve got folks hoping to receive this again this year in their Christmas stockings! We will ask around. You might call the Visitors Center at 888-997-3600 and see who runs the Craft Show.